We took advantage of a lovely morning and headed to one of our regional parks, for a walk in the bush. 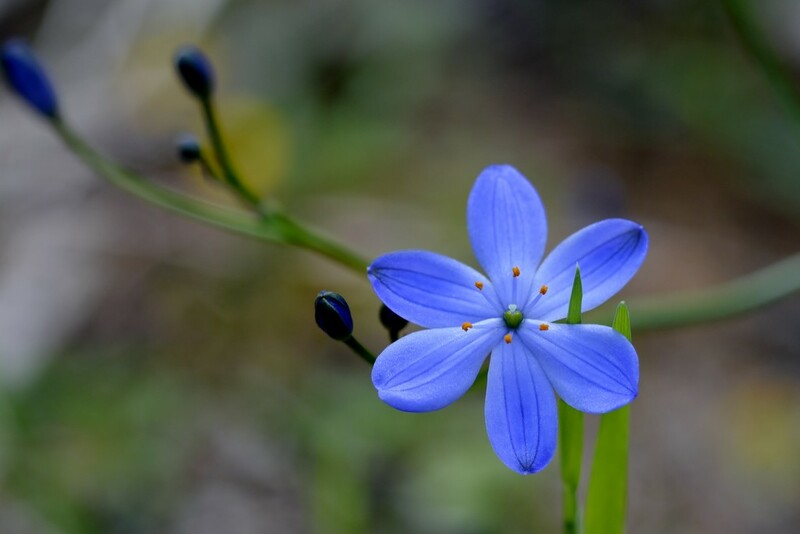 Apparently this lovely wildflower is called a Blue Squill, not a particularly attractive name for such a pretty flower. Beautiful, love the detail and composition. The colour and detail are beautiful, nice shot Merrelyn. Gorgeous colour, it is so pretty. Fav for a superb macro! So pretty and dainty looking. Beautiful macro. Love this blue colour. Fav. Incredible macro. Congratulations on making the Trending Page. Well deserved. Great close up of this beautiful find. Love the blue color. @irene111 @koalagardens @deborah63 @jodies @onewing @gilbertwood @quietpurplehaze @pusspup Thank you all for your lovely comments and favs. It is such a lovely blue. @lisainstpete @leestevo @mittens @lyndamcg @amfrumbiddivurd @gijsje @lynnz @agedrunner Thank you, blue is my favourite colour, so this really stood out for me. @pyrrhula @elizmafourie @radiogirl @elisasaeter @hermann @joannakate @miata2u @joansmor @gaylewood @susale @777margo thank you for your lovely comments and favs. It is a lovely little flower. @rosiekind, @sarasotab, @365projectorgjenfurj, @lyndamcg, @claycameras thanks for the favs, I'm glad you liked it.